Finding extreme ways to get noticed. Nearly running out of money. Making a pivot with a completely new product and name. Moving the team to San Francisco at a moment’s notice. If you are Alex Nucci and Ricardo Vazquez, co-founders of Blanket, that’s all part of the startup ride. Fortunately for Nucci and Vazquez, their startup also had local backers helping them through the ups and downs – and helping to keep them in Miami. More on that in a bit. Today, Blanket is a team of 8. Vazquez, a software developer, is CTO. Blanket has raised $3.64 million, including a pre-seed round raised entirely in South Florida. Miami Angels invested twice. The story: Nucci and Vazquez founded their company as Gramercy, then a tool for creating marketing campaigns, in 2016, with a $75K investment. They raised an additional $75K from Miami angel investors including Mark Kingdon, and built a more robust prototype that they showed to the Miami Angels network (then called AGP). Members and other angels ended up investing about $300K, Nucci said. Some of the investors didn’t even fully understand the product Gramercy wanted to build but were betting on the team, said Rebecca Danta, managing director of Miami Angels. The funding went toward building the product, but when the startup was about to launch the product, it was also nearly out of cash. The co-founders and their investors debated their options, and Nucci believed they could productize an automated sales-lead process the startup developed for use internally – indeed the process was working beautifully to help Gramercy book sales demos. The investors said they would be interested in investing in the new product if the startup pivoted. One investor offered to buy them out. Nucci and Vazquez didn’t want to sell the company then, but the investor, a business owner, also said he would be willing to pay for the automated sales-lead service. Nucci found other businesses who said they would be willing to pay, too. Around that same time, in the fall of 2017, Silicon Valley angel investor and author Jason Calacanis tweeted that the next person who buys 100 copies of his new book could have lunch with him. Calacanis came to Miami, had a two-hour lunch with Nucci and Vazquez, and also spoke at a Refresh Miami event. At lunch, Nucci told him the startup was considering pivoting the business and showed him both concepts. Calacanis indicated he was interested in investing – but after the team settled on one or the other. The big pivot: With revenues already promised and the blessing of their investors, the co-founders pivoted over the next few months, with the help of bridge funding from Miami Angels. In early March 2018, Nucci sent out his news as an update to investors and supporters. Calacanis replied that if the team could get up there in two days, the startup could be part of his three month LAUNCH accelerator class starting immediately. “We packed all our stuff and our team of four rented an apartment in San Francisco and lived under the same roof,” said Nucci. It was a trying time being away from his wife and kids but they worked on product, worked on their pitch, added customers and met with investors. Nucci ended up staying an additional three months and considered relocating the startup or at least his own family there. “We had a tough time early on. We weren’t explaining the product too thoroughly and we aren’t ex Facebook, ex Google, ex Stanford, ex Harvard, we are in Miami — these are a few things we had going against us,” Nucci explained. Here comes the money: Fortunately, Slow Ventures, a top tier investor prospect Blanket had coveted, didn’t care where the team was located and led its round. Revolution’s Rise of the Rest — and Miami is part of “the Rest” — joined as an investor too. Blanket closed a $3 million round in early January. As Blanket has been booking revenue, its team has also been growing as it has been focusing on product market fit at scale. Ed Escobar, head of operations, joined the startup just as it was pivoting, said Nucci. “He had just left Kangoo, where he was CEO. He wears all kinds of hats at Blanket. Awesome work ethic and talent — wish there were more Eds in Miami.” Blanket is also currently hiring. Nucci says Blanket wouldn’t be where it is today without the support of the Miami ecosystem. Co-founders: Alex Nucci, CEO, and Ricardo Vazquez, CTO. Business model: SaaS model for automated sales development. Recent milestones: Blanket pivoted into a completely different line of business and participated in the LAUNCH accelerator in San Francisco. Financing: Raised a total of $3.64 million. $640k was pre-seed, almost all Miami money; Miami Angels, Mark Kingdon and Martin Claure among them. 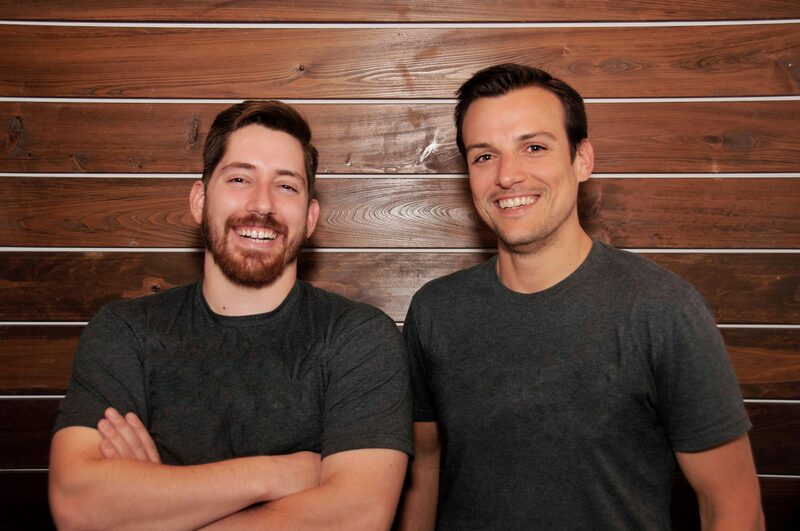 Recently closed $3 million seed by Slow Ventures, Rise of the Rest, Jason Calacanis and others. What’s in a name: “We help you cover (blanket) your Total Addressable Market (TAM) — this was the original idea. But then we also started calling the landing pages we create Blankets,” Nucci said.